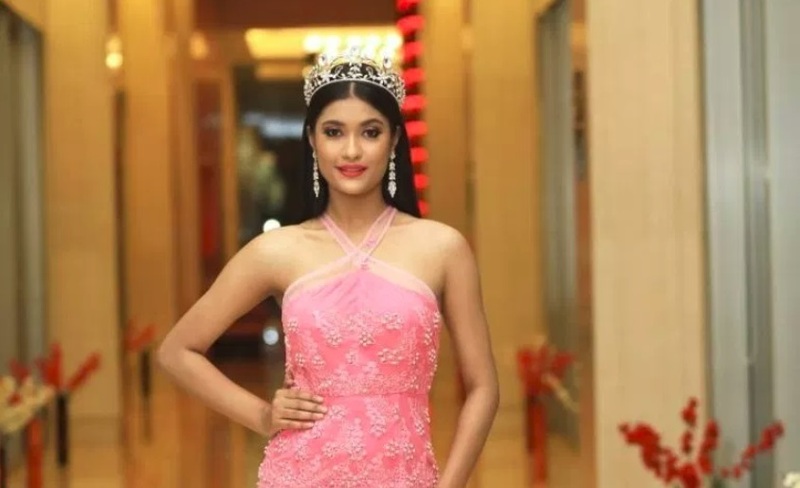 Hailing from Biswanath Chariali, Jyotishmita Baruah is the budding beauty who will be representing Assam in this year’s Femina Miss India, the country’s most coveted pageant. FBB Colors Femina Miss India 2019 held its state audition in Guwahati on Sunday where Baruah won the title of Femina Miss India Assam. A graduate of the city’s B Borooah College, 19-year-old Jyotishmita was earlier declared winner of Sunsilk Mega Miss North East 2018. The biggest beauty pageant of Northeast India, Mega Miss North East, produced by Mega entertainment, boasts of an impressive list of young talents from the region who have sashayed down the grand Femina Miss India stage. The mission of Mega Miss North East India is to nurture the extraordinary pool of talents from North East and prepare them for the national and international platforms. Leading fashion entrepreneur Abhijit Singha who has conceptualized Mega Miss North East talks about the focused professional that Jyotishmita is. “Jyotishmita is extremely hard working and we have seen her blossom as a professional since she was crowned Sunsilk Mega Miss North East. We are sure her talent and hard work will take her places,” said Singha. Rinky Chakma, Soibam Kanchan and Licha Thosum, all previous winners of Mega Miss North East had been selected for Femina Miss India in 2017. Also, in 2018, Mary Khyriem from Shillong, another former winner of Mega Miss North East India, made it to the finale of Femina Miss India. “With this year’s selection of Jyotishmita for the pageant, it goes to show that the winners of Mega Miss North East definitely have the potential and talent to make a mark in the national beauty and fashion industry,” Singha pointed out.